Freddie Woodman, Iain Wilson, Kristopher Ajer, Scott Boyd, Rory McKenzie (Greg Kiltie 52), Greg Taylor, Gary Dicker , Jordan Jones (Callum Roberts 79), Sean Longstaff, Connor Sammon, Kris Boyd. Subs Not Used: Jamie MacDonald, Karleigh Osbourne, Innes Cameron, Adam Frizzell. 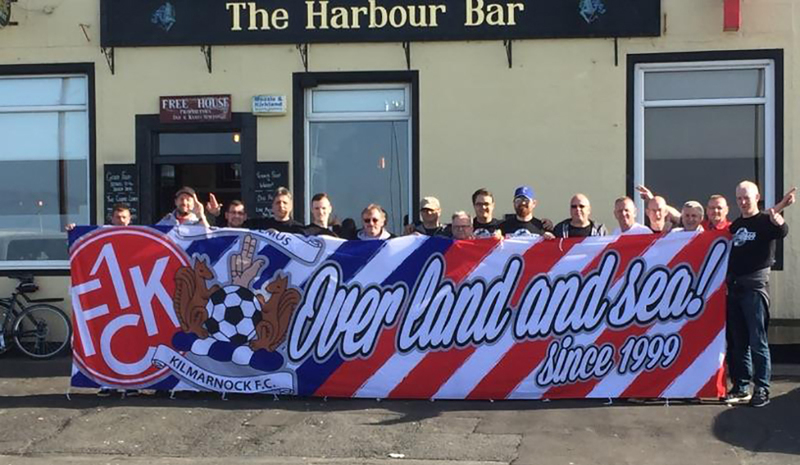 For the second time within a month the Killie faithful headed up the A9 in glorious sunshine as we travelled to Inverness hopefully to push them a bit further towards the SPFL trap door. 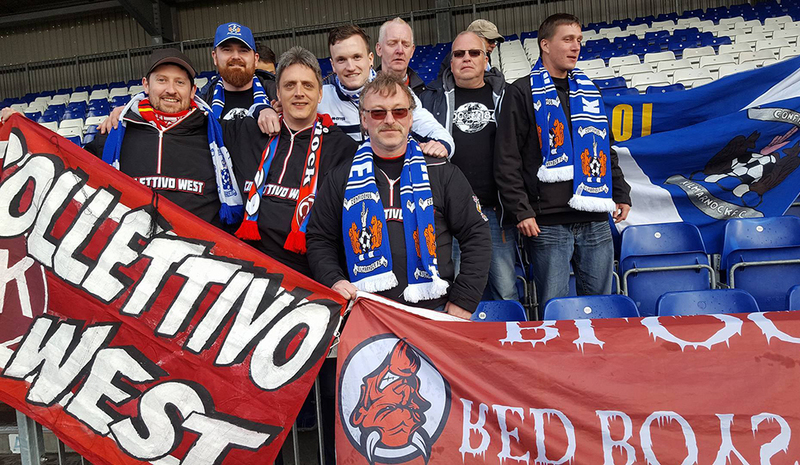 Our visit to Dingwall a few weeks earlier had been very rewarding and the general feeling was that another win would make it extremely difficult for the hosts to catch us. 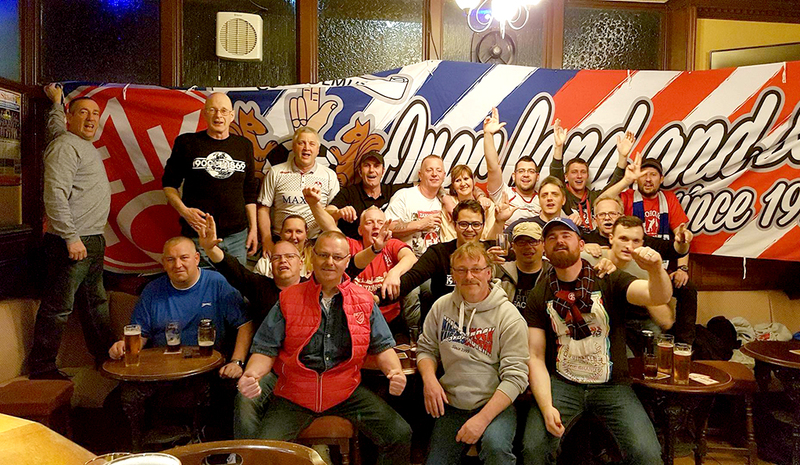 Around a couple of hundred made the trip and included a healthy turn out from some of our friends from Kaiserslautern, Andreas Rahm and his Fanclub Collettivo West this time, as well as Peter Nederlof from Amsterdam who attends numerous times a season. The biggest pre-match worry was the news that Hendrie was suspended and we didn't have an obvious replacement. That is somewhat surprising as it seemed we signed about half a dozen right backs last summer! Ian Wilson filled the gap and Killie started the better and once again got our noses in front. 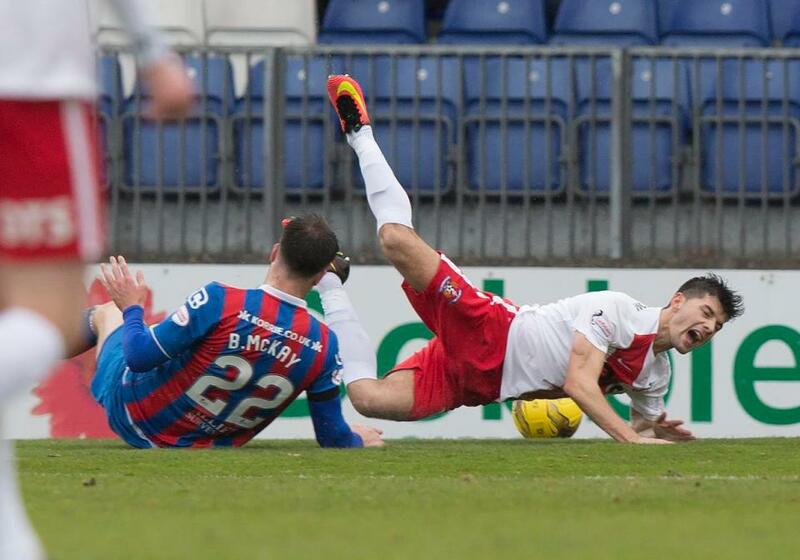 Jones was floored as he raced into the box and Boydy tucked away the spot kick to give us a welcome lead. Woodman was largely untroubled but the hosts equalised with their first serious attack and all of a sudden the shape of the game changed. Our inability to hold on to a lead has been a problem this season and the question now was could we get something from the game. Inverness looked much brighter at the start of the second half and Woodman was forced into a couple of decent saves although after weathering the early stages Killie gradually got a foothold in the game again. Boyd was close with a free kick then a deflected effort from substitute Roberts was saved by Williams. It was fantastic to see Kiltie get game time and the wee man looked like he had never been away, what a boost that is for the run in. Both teams had chances to grab a win but overall a draw was fair and Killie will be more satisfied with a point than Inverness who are rooted in 12th place. 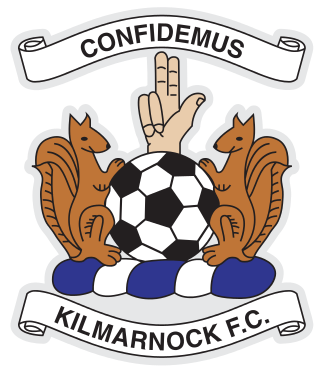 Killie were best served by Dicker, Taylor and Jones and in the final analysis it may well be looked upon as a valuable point. We now look forward to three tough games in 9 days and if we are still 7th come the split we should be able to avoid the relegation shenanigans. Lee McCulloch: "They've beaten Rangers up here. It's a tough place to come. A point is a fair result. We finished the game with seven teenagers, so it just shows the character we've got in the dressing room. We could've nicked it in the end. 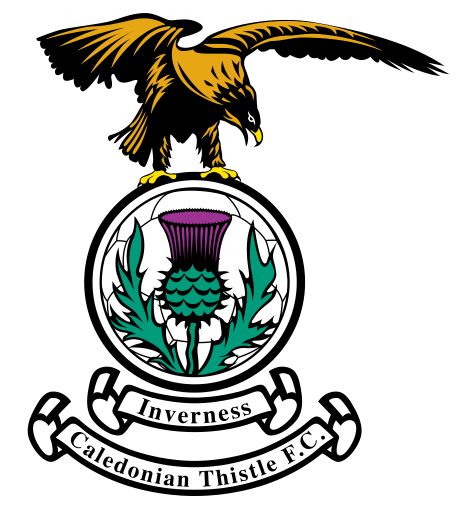 Overall, Inverness had the bulk of possession but, possibly, we had the better chances. It's another week towards safety. The next two games are massive - Rangers at home, Celtic away. We thought it was important as a staff that we didn't get beat today."